It’s been a long time between gluten-free posts. Sorry about that, but health issues continue and frankly I’d rather lie on the sofa watching old episodes of ER (I’m now halfway through season 12. That’s commitment for you). Still, you’ve read it all before, so no point dwelling on it. South Australia’s gluten-free expo, Gluten Matters, was held about a month ago. It was only the second time the expo’s been held in SA and it was huge compared with the first expo. I presented a talk on Managing your Gluten-free Child’s Social Life and did a couple of cooking demos as well. My kids, especially my coeliac daughter, thought it was AMAAAZING. And it was. It was also great to make some more contacts in the gluten-free world. It was especially good to see my mates from Australian Gluten Free Life Magazine. It’s such a great publication and has now branched out into a low FODMAP issue as well. If you’ve not yet checked it out, do yourself a favour. But onto the issue at hand. 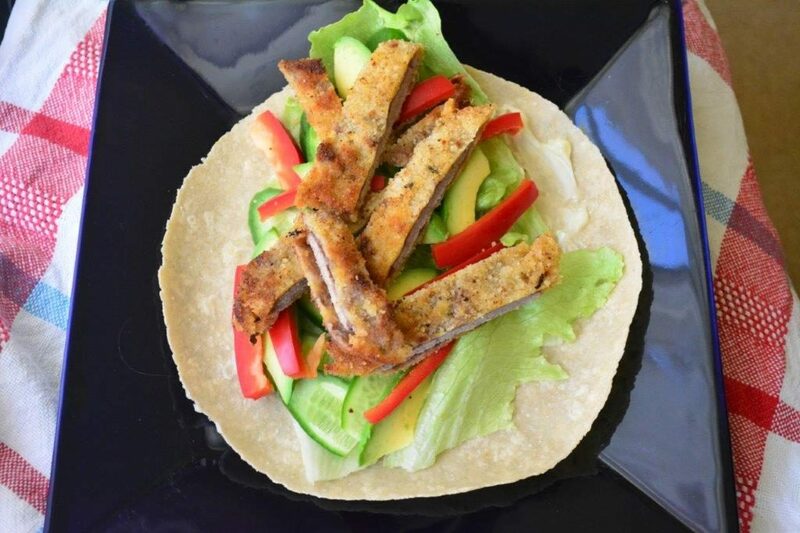 Gluten-free Beef Schnitzel Wraps. I mean, who doesn’t love a schnitty? I know schnitzels originated in Germany, but over time they’ve become as Aussie as lamingtons/peach melba/vegemite/tim tams (take your pick). This recipe is more like a serving suggestion, but what the heck. I’m sure you’ll make it your own. I cook up a big batch of schnitzels. 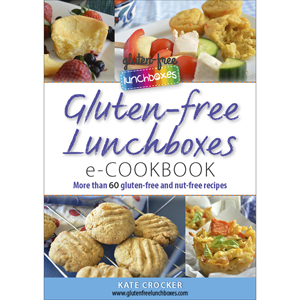 I use Lifestyle Bakery Gluten-free Breadcrumbs, or if I’ve forgotten to buy them, I use polenta grains. They stretch to two evening meals (for the second meal, I reheat them in a pan so that they crisp up again) and served cold in wraps for lunchboxes. I love them in wraps because they’re so filling – the kids aren’t nearly as hungry after school on the days that they score these. I use BFree wraps – they’re flexible and don’t crack or break. This recipe is for a big batch but can be halved if you wish. They’re a family favourite meal in our house (served with mashed potato and steamed vegetables) and a lunchbox treat. A double win which makes them worth the effort! Put flour on large plate. Lightly beat eggs in large bowl. Put breadcrumbs on another large plate. Season breadcrumbs with salt and oregano. Coat one schnitzel steak in flour. Then dip it in egg and then coat generously in breadcrumbs. Set aside. Repeat with remaining steaks until all are coated. Heat generous amount of oil over medium heat in large fry pan. Add some schnitzels to the pan, being careful not to overcrowd the pan. Cook for a few minutes until schnitzels are golden brown. Turn and repeat on other side. Remove schnitzels from pan and drain on wire rack. Repeat with remaining schnitzels. Cook in batches until all schnitzels are cooked. Serve immediately with mashed potato and steamed vegetables. Spread one wrap with mayonnaise. Fold wrap by folding up bottom edge of wrap to centre and then folding in side edges to centre. Wrap firmly in plastic film and keep cool until served. These recipe is pretty to eat! It’s just stunning and looks so delicious!